In a bowl sift the flour and salt. Add the cold butter. 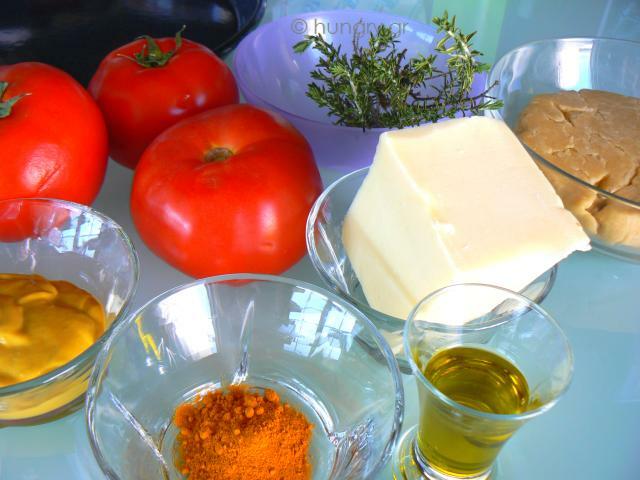 Work the mixture with the tool that pulps the vegetables or using two knife blades in the same hand until the mixture resembles crumbs. 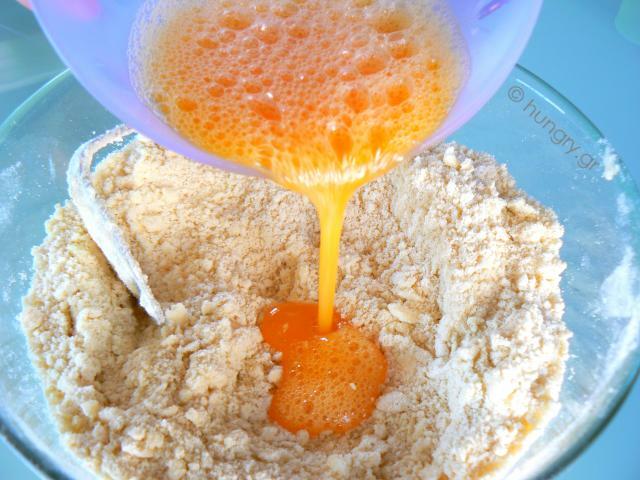 In smaller bowl, beat the egg and add to the mixture. 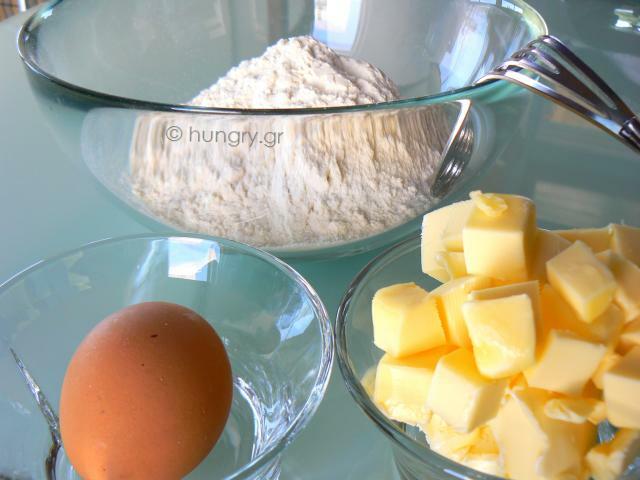 We gather with our hands the dough into a ball by adding water without kneading. Wrap with transparent film and refrigerate for an hour. 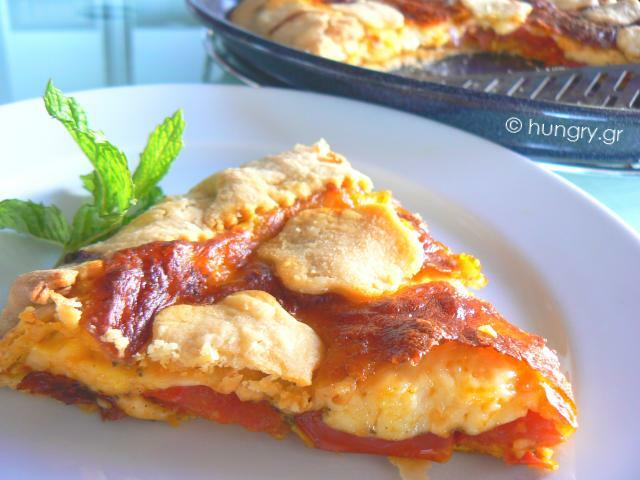 Cut the mozzarella into thin, rectangular slices. 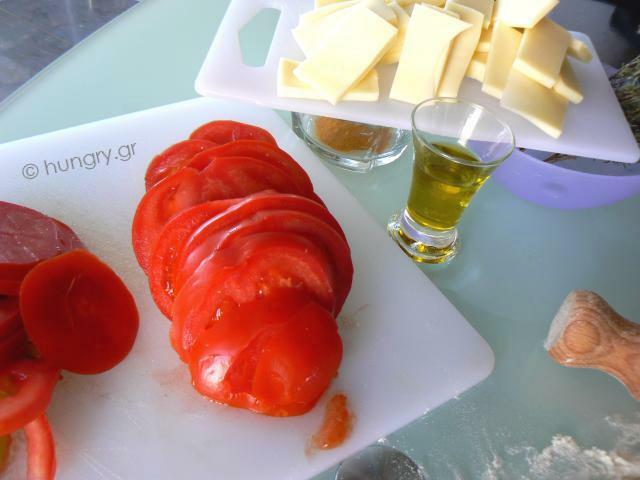 Chop the tomatoes and remove seeds. If the tomatoes are too juicy, drain them. 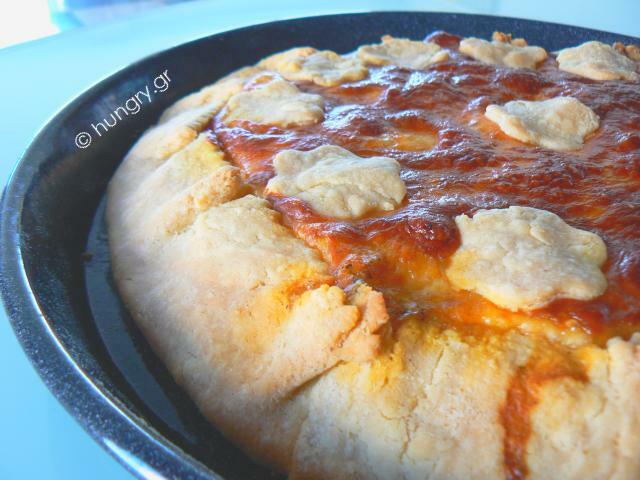 Remove the dough from the refrigerator, sprinkle the work surface and the dough with cornstarch and roll into a round sheet with 30 cm/ 12" diameter, not very thin. 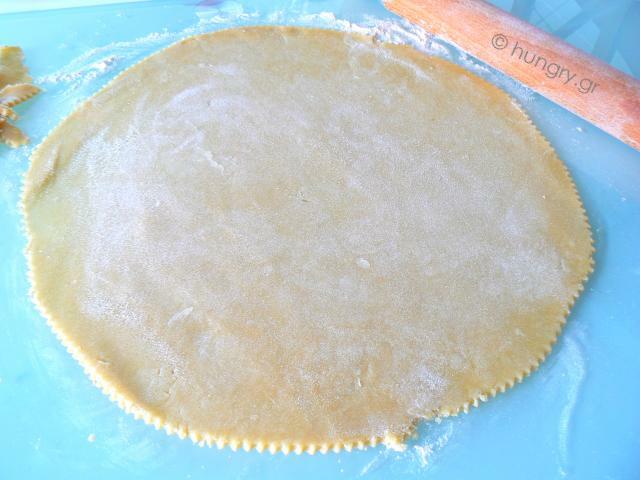 …Wrap the rolled crust around the rolling pin and transfer it into the baking pan. Using the back of a spoon, spread mustard and turmeric. Careful to leave about 4 cm/ 1½" around the edges of the sheet. 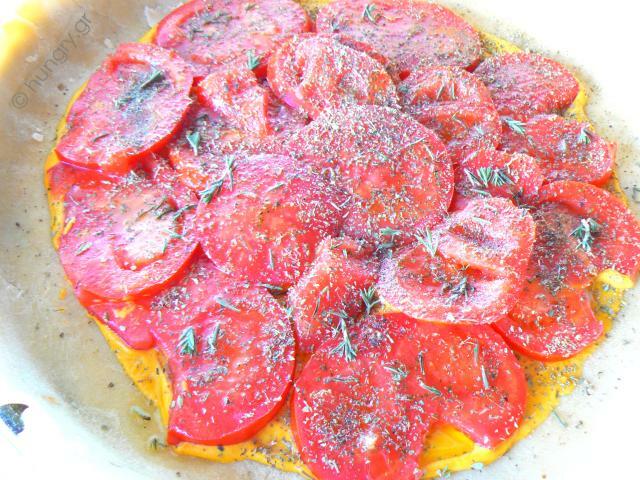 Put the round tomato slices over the crust and sprinkle the spices. 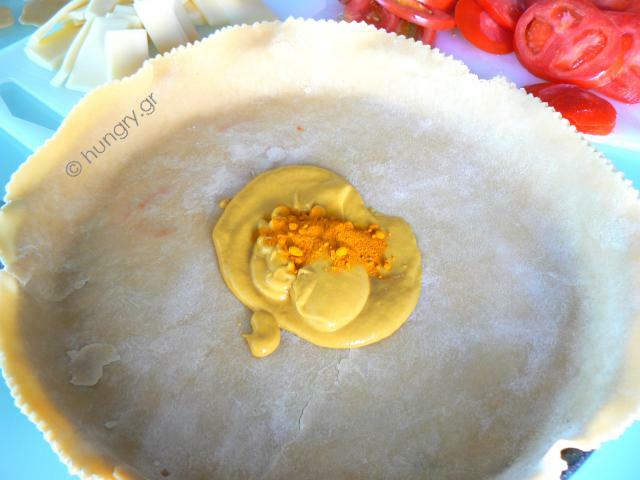 Sprinkle with olive oil, keeping a little to pour over the crust before baking. If we do not have fresh thyme, we use dried. 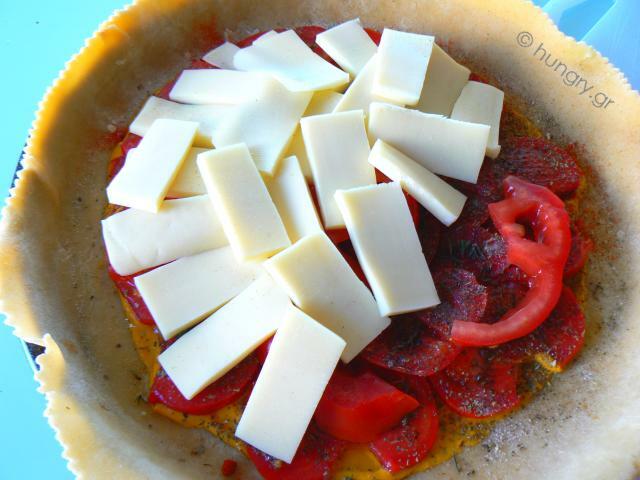 Cover the tomatoes using overlapping pieces of mozzarella. 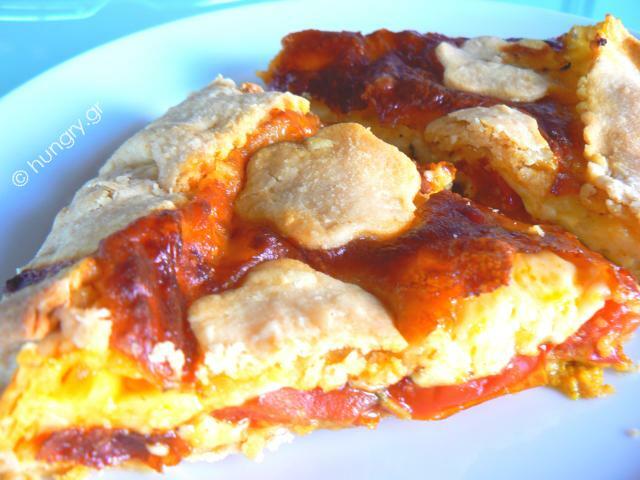 Bring the edges of the crust over the tomatoes and cheece by 2-3 cm/ 1". Re-knead any pieces of dough, that was removed, roll with the rolling pin into a sheet and cut in various shapes. 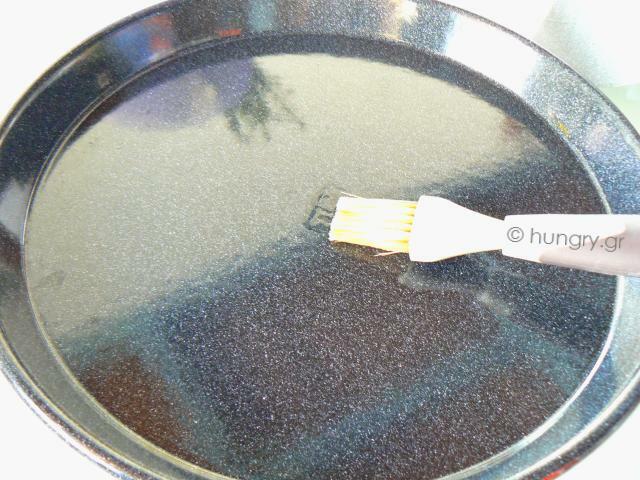 Cover the tart with these, here and there, and grease lightly with the brush. 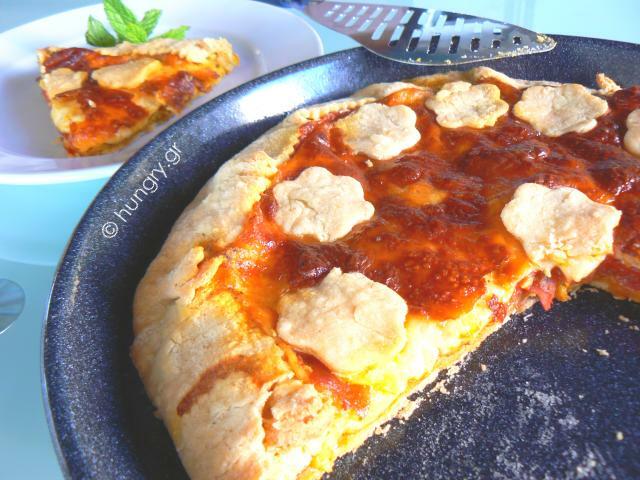 Cover the crust with a parchment paper, because the mozzarella melts very fast and gets brown easily, and bake it at 180°C/ 350°F/ 4 Gas Mark for 20 minutes. 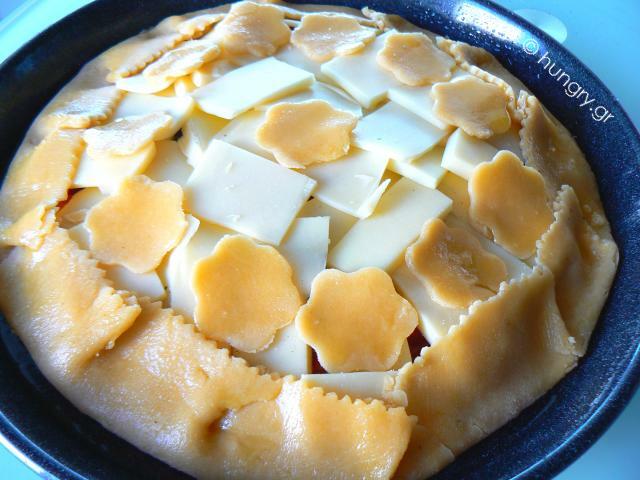 Let it bake, rise and get a golden brown colour. 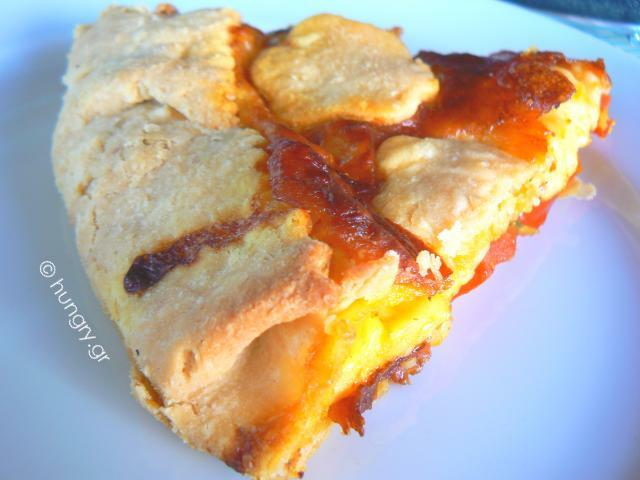 A delicious savory tart, we can enjoy on the balcony or terrace with a cold beer.